Ecobee vs Nest Comparison: Which Is the Better Thermostat? A modern thermostat can do far more than just set the desired temperature you wish to achieve and maintain in a given space. Today's smart thermostats can learn and adapt to your desired settings, detect whether someone is at home, and automatically adjust the temperature based on the outside weather. With the number of smart thermostats currently available, it can be very challenging to decide which is the best choice for your home and your budget. We performed a thorough comparison between two popular thermostat brands, pitting Ecobee vs Nest to help you better define your household needs. Ecobee vs Nest: Which Is Better? A thermostat is considered a "smart" thermostat when it connects to the Internet via Wi-Fi, Bluetooth or some other means. 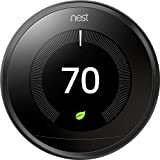 In the case of Ecobee vs. Nest, both primarily use Wi-Fi connections that allow you to control these thermostats from an Internet-connected device such as a computer, tablet or smartphone. Since your thermostat is connected to your home Wi-Fi network you can adjust the device from your mobile phone while anywhere else in the world that you have Internet access. A smart thermostat has the ability to draw off of the Internet connection in other ways. It can learn what the current and upcoming weather will be like, which allows it to adjust accordingly. The thermostat is also able to set different user profiles. Each brand and device upgrade does come with new features and settings not found on other thermostats though, so when shopping around, you'll need to consider Ecobee vs Nest and then decide which of the two works for you. Before considering and evaluating Ecobee vs Nest thermostats, we performed some research into the basic traits of smart thermostats. We also wanted to be able to accurately assess the manufacturer claims and potential advantages of each. There are several benefits to be gained when you make the switch from a traditional thermostat to a smart thermostat. A smart (connected) thermostat is more expensive than a traditional control unit, but with the benefits you'll reap from the upgrade, it is well worth the cost of investing in such a device. When you program a traditional thermostat, you set it at a temperature and leave it. If you want to change the temperature, you need to get up and adjust it. That is not energy-efficient, but it is what everyone with a manual control unit has to do. Even if you have a programmable thermostat that allows you to set times for which the HVAC system kicks on and off, there will be times where you are not around and when you need a different schedule. Without the ability to control your thermostat remotely, that thermostat will still turn on and off based on the original schedule you set. With a smart thermostat, you have programming ability and the device can also learn based on your actions. Once it "learns" your patterns, it can adjust the temperature accordingly. You can also adjust the temperature when you're not at home, so if you're going to be home late you don't need the heat to kick on as soon, which will save you money. 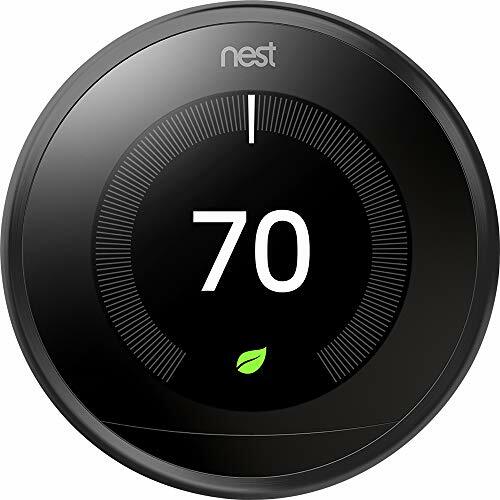 So while looking at the prices of Ecobee vs Nest thermostats, you may suffer a bit of sticker shock initially, but remember that over the course of your new thermostat's life, you will save a considerable amount each month. You can set and adjust the settings on a thermostat directly and anytime you want, of course. However, one of the best aspects of this device is that you can set it to learn what you like and set parameters accordingly when you're not around. It can look take outside weather into account and make changes so that your HVAC system doesn't work too hard or too often for the conditions. It can also detect if anyone is home or not. This way, if nobody is in the house it will stop draining on the HVAC system, which makes it that much easier to use and that much more of a money-saving device. There will be times where you want to adjust the temperature of your home when you're not there. Perhaps you have guests coming and you'd like the house to be warm and comfortable when they arrive. You can go into the app on your smartphone and make sure the heat comes on. You don't even need to be in the U.S. to control the temperature in your house. The way these features work differ on smart thermostats, so you will need to consider the Ecobee vs Nest debate carefully and go with what works best for you. Either way, you'll find these devices are far flexible to use than manual thermostats. 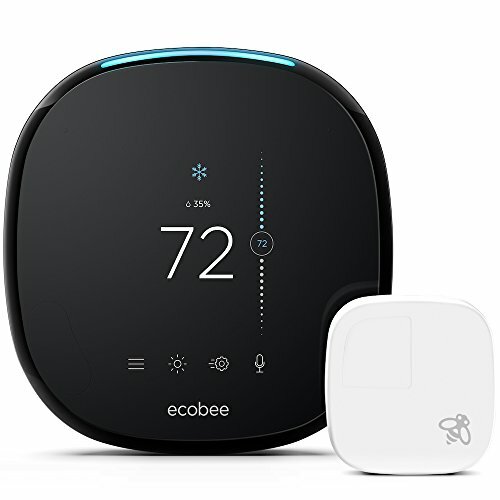 Two of the more popular types of smart thermostats are sold under the Ecobee and Nest brands. When shopping around for these items, you will find both common elements and key differences. Both are solid, functional units, so choosing between them is a lot like picking between a Mac and PC or an iPhone vs. Android phone. It comes down to your personal preferences. However, it's a great step to compare Ecobee vs Nest devices and see what each offers you. You're going to pay about the same amount for an Ecobee or Nest smart thermostat. Generally speaking, these thermostats are priced around $250 for the latest models. If you want to save money but don't need the latest features, consider buying an older-generation unit. Please remember to compare the specs and features, though, to see if an older model sacrifices a feature or function you would love to have. If you're considering making a purchase but might also want to buy one for someone else (such as for a holiday gift), be sure to look for thermostats packaged or advertised with savings for buying two or more units. You are probably considering a smart thermostat not only because it can give you more control but also because it can help you save money. Both of the smart thermostat brands we evaluated have models that will help you save money. You want a thermostat that is easy to use as well as energy-efficient. The Nest thermostat we reviewed is a circular device that is designed to look like a futuristic thermostat based on the old, circular thermostat designs. In fact, you even turn a metal ring around the exterior of the Nest to adjust the temperature. On the other hand, the Ecobee uses a touchscreen. If you like touchscreens and want to adjust your temperature with the screen instead of a crafted ring, this is the way to go. Additionally, you can use add-on room sensors for the Ecobee. This allows you to identify if other people are in different rooms and even adjust the temperature in these different rooms (depending on the HVAC system you have). With the Nest system, you must purchase individual temperature sensors separately, and the costs can go up quickly. If you have a ventilator or distinct system of fans in your home, you may want to go with the Ecobee. Both of the smart thermostats can connect to different energy devices to help you save money. However, the Nest cannot connect to a ventilator. The Ecobee can be set up to identify when to use the ventilator and ease reliance on the air conditioner. In this way, you can save more money. On the other hand, if your home uses a heat pump or other auxiliary heating features, you may want to go with the Nest thermostat. The Nest control unit can identify the heat pump and determine the best ways of using it with your overall system. As you can see, if you have auxiliary heating and cooling systems installed, your overall home setup and HVAC mix should help determine the smart thermostat you purchase. There are so many available options to consumers who are considering a smart thermostat these days. Two of the top selling brands are Ecobee and Nest. As you've probably gathered from our Ecobee vs Nest debate so far, both are great devices. It may be worth it to go to your local home improvement store and test out these and some comparable thermostats. This way, you can see how each works and what the navigation experiences on the device and application are like for yourself. When it comes down to devices for your home, it's all about what you feel comfortable with and what products feel right to you. In the battle of Ecobee vs Nest smart thermostats, our verdict is that you can't go wrong with either choice.